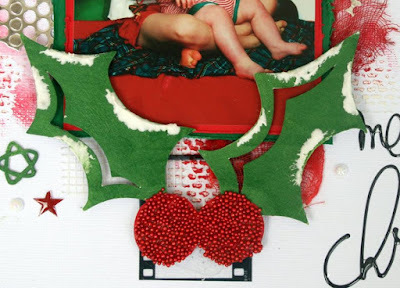 You must use White combined with the colours in the above photo. You can use printed paper as long as these colours are the main focus of the paper. 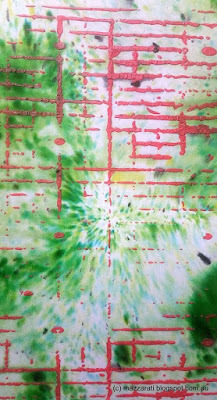 There can be other colours on the paper, bit not too much so that it takes away from the colours in the inspiration photo. 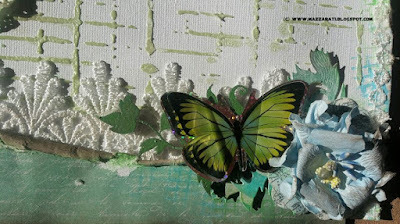 You can use anything the create these colours like mists, inks and paints. 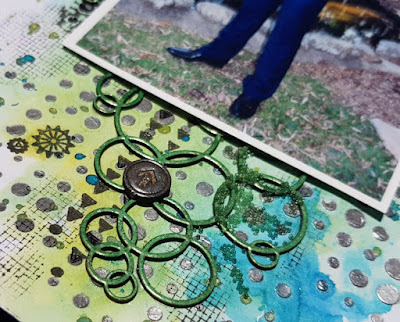 You can use a small amount of black/brown for a little stamping, inking, journaling or just small accent, however it is NOT to be the main focus of your layout UNLESS it is one of the main colours in the inspiration photo. You can use as little or a lot of each colour, but EVERY colour or similar shade of colour MUST be used. 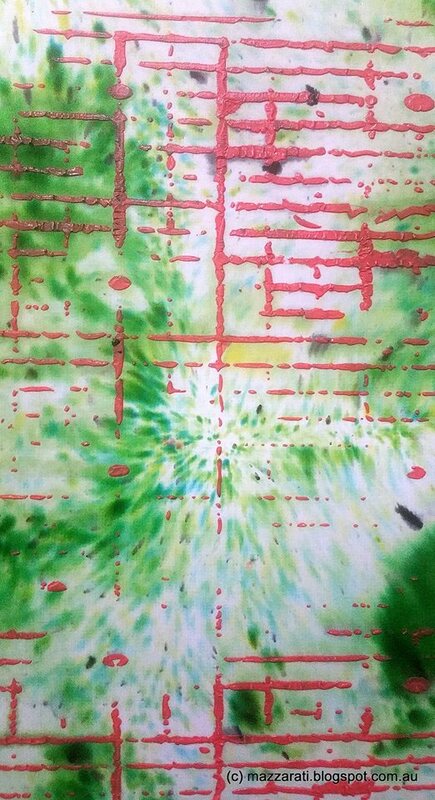 You can use varied shades of the colours as in depends on the device you are viewing the image on as to what shades you see. Create a layout following the above criteria then simply follow the instructions below. Then add your DIRECT challenge link to us using the "Mr Linky" application on the right hand side of our BLOG. 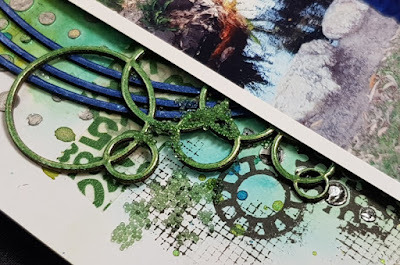 Once of have done the above and if you are on FB, simply go to the Scrapping Outback Facebook page and let us know that you have entered our challenge - you can link directly back to your own Blog or FB page as well so we can ALL go and check out your challenge entry. 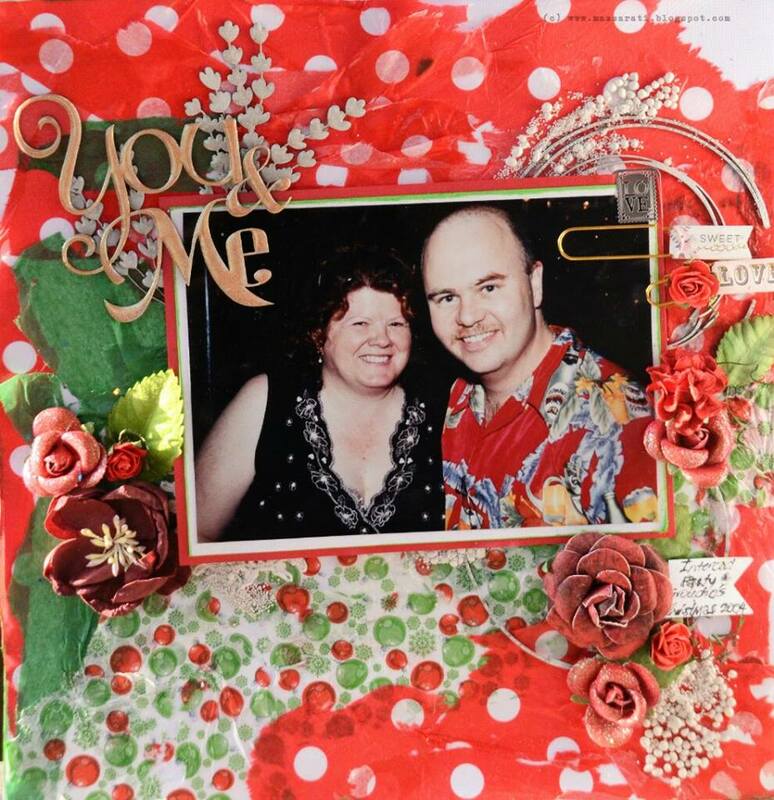 Please use your creation for our judged challenge only - if you choose to use your layout for other judged challenges as well, you will NOT be eligible for the Scrapping outback prize. 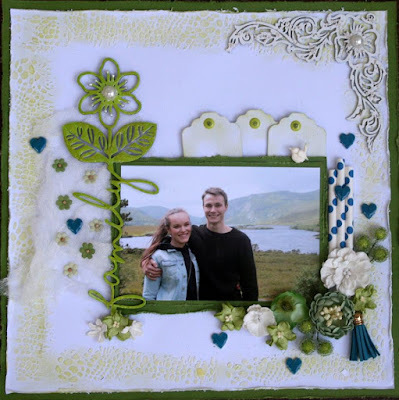 You are still welcome to enter your creation if the other challenge is an inspiration challenge ONLY and NOT a judged challenge where a prize is given. First up this month we have a layout created by Marie. 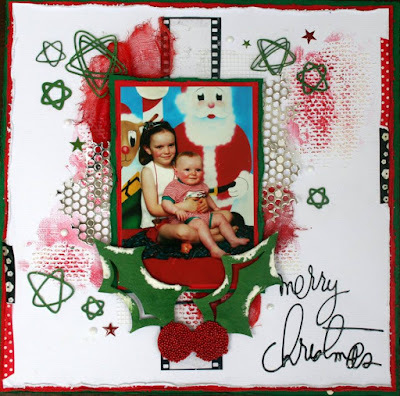 She has used white cardstock and has added background texture with tissue paper. 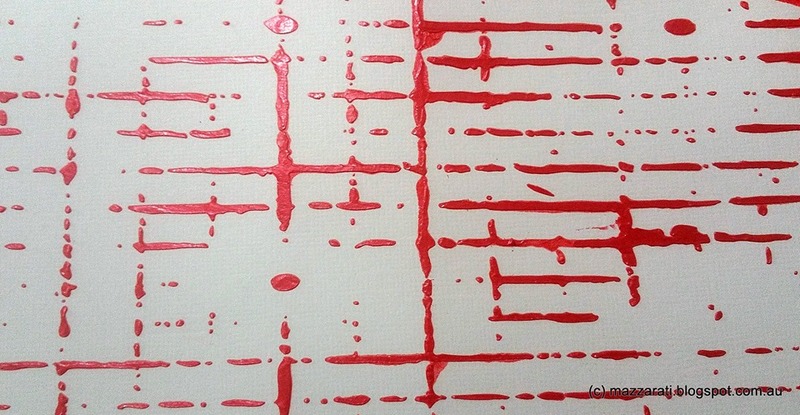 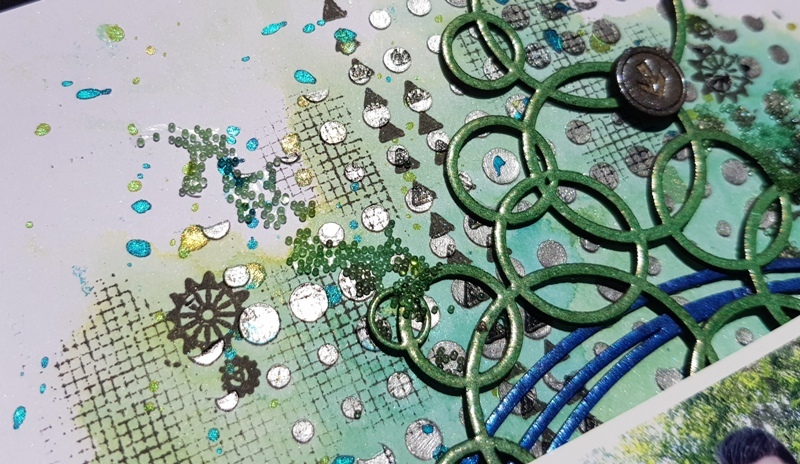 Marie has also used coloured inks to add dimension and colour to the white background. The added coloured flowers highlight the colour theme perfectly. 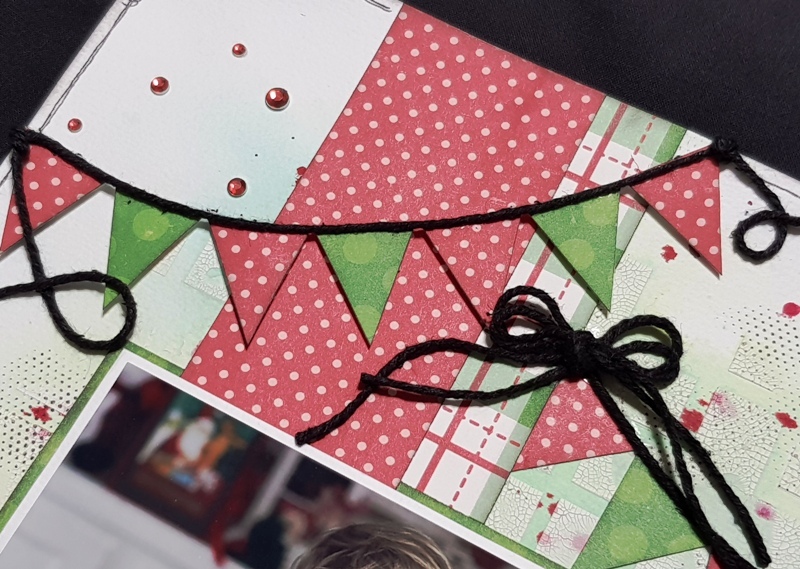 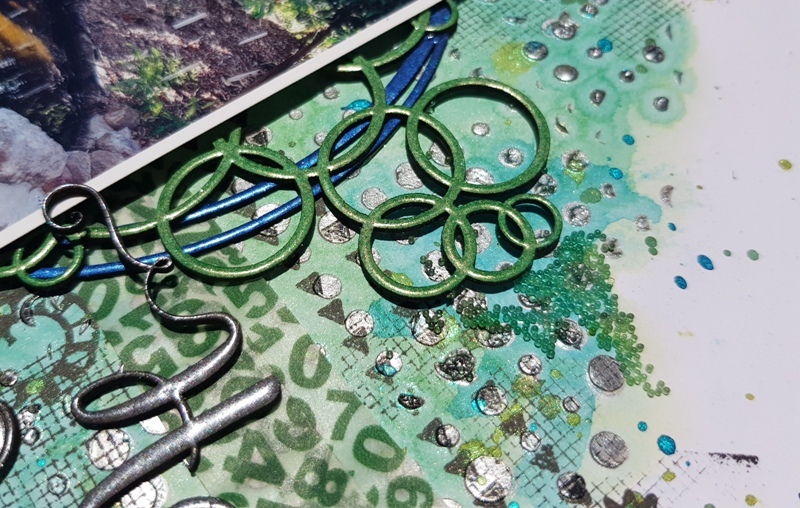 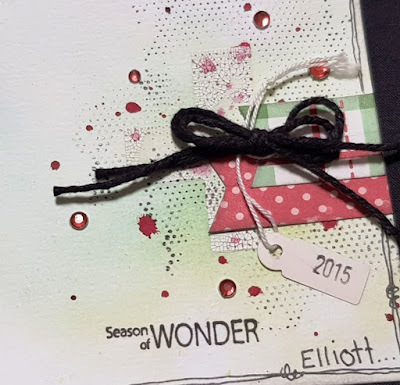 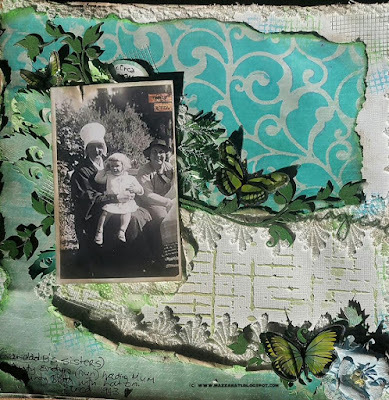 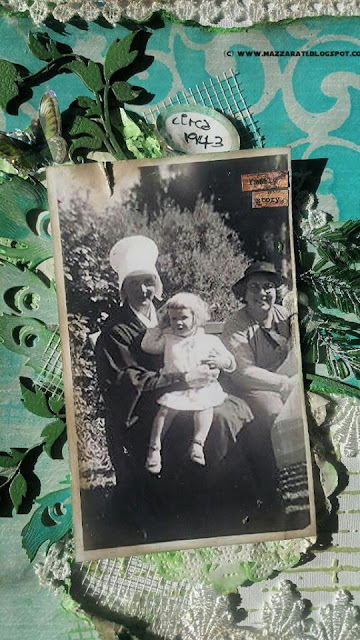 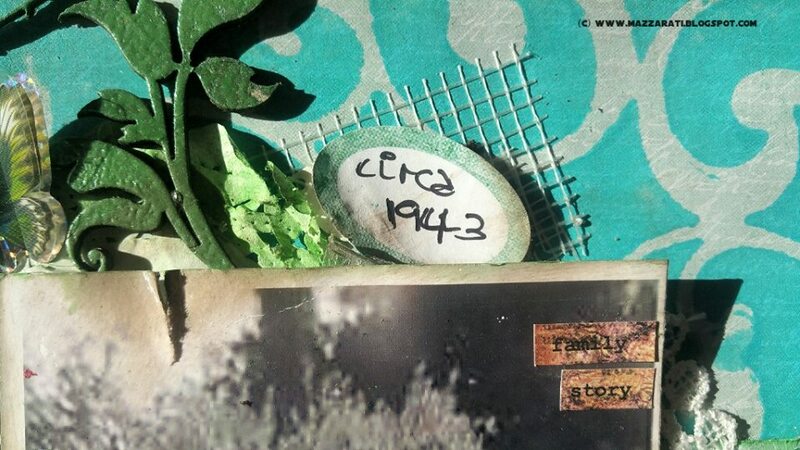 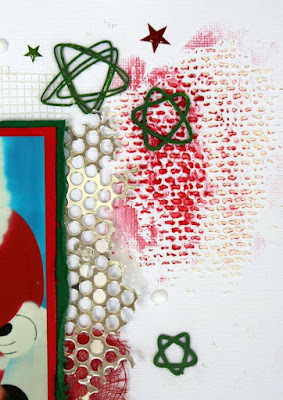 Up next, we have Karen's layout using white cardstock as her base then building up her colour palette using red and green chipboard accents as well as a little coloured muslin and washi tape. 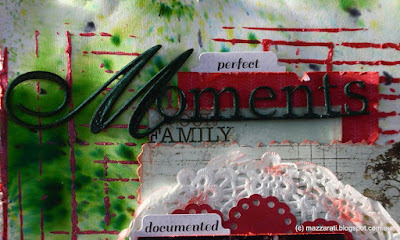 Karens Tip: Washi tape is good for just using pieces along the edges of your cardstock. 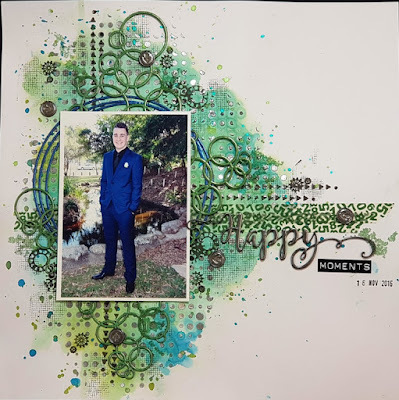 Up Next we have a layout by Rachelle - she has used white cardstock with loads of multi media products including White crackle paste, mists and stamping. The added printed papers add to this months colour theme. 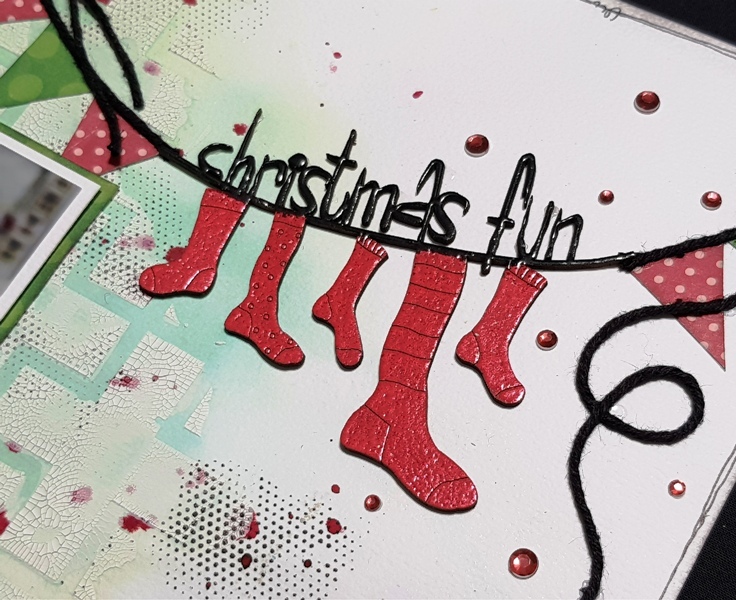 Lindy's stamp gang mists - Merry go Round green, Cest la vie Cerise, Sea mist green and Rizzo's rowdy red. 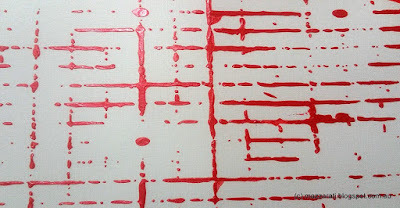 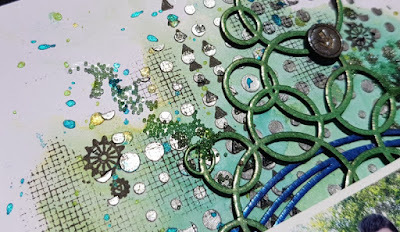 Rachelle's Tip - Tone the mist colours down by spraying with water and dabbing off the excess. Heat setting is a great way to stop the paper becoming too water logged. Finally, we have another layout created by Marie (she has been very busy this month). Marie has created her own background using coloured texture paste and colour burst powders - very creative! 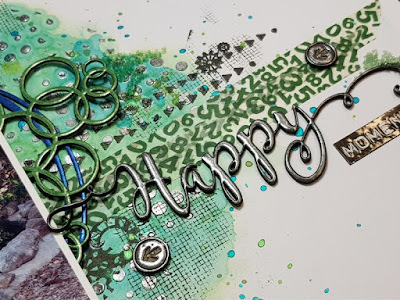 Happy Scrapping from the Scrapping Outback Team!! 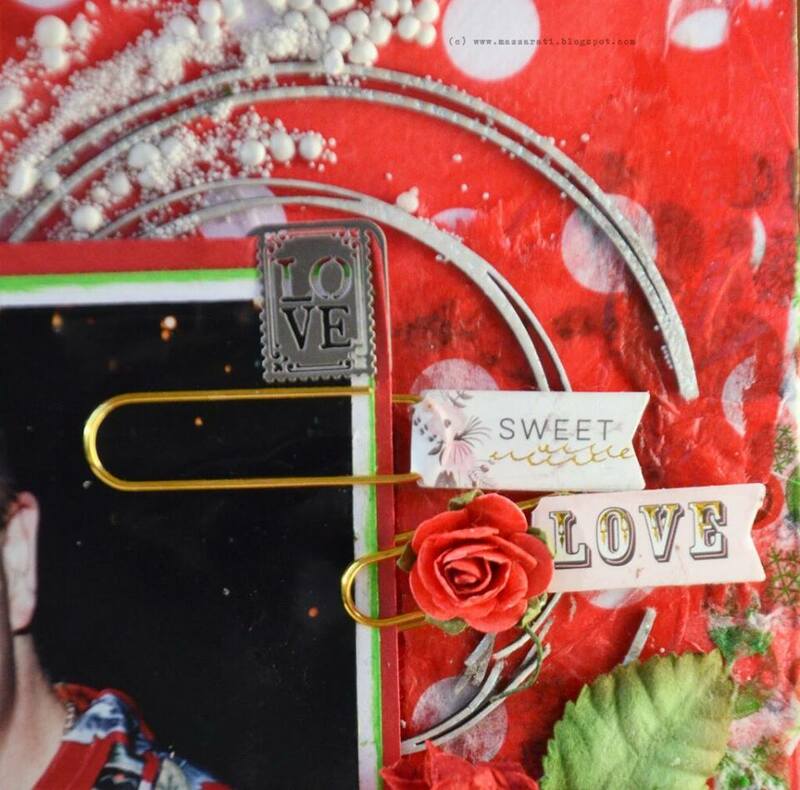 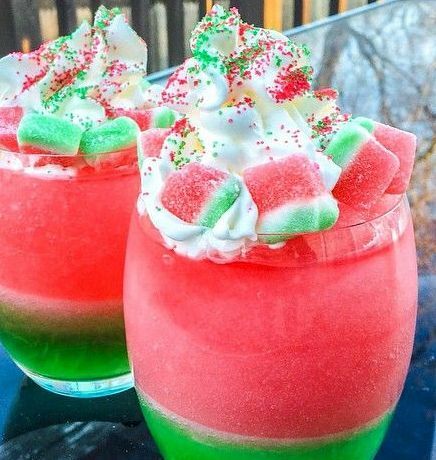 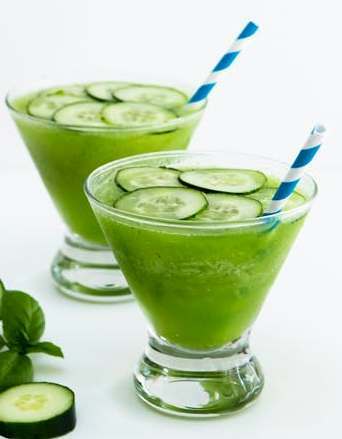 Karen's tip: when using straws glue them together before placing it makes it so much easier. 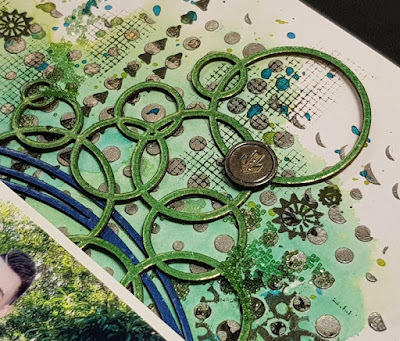 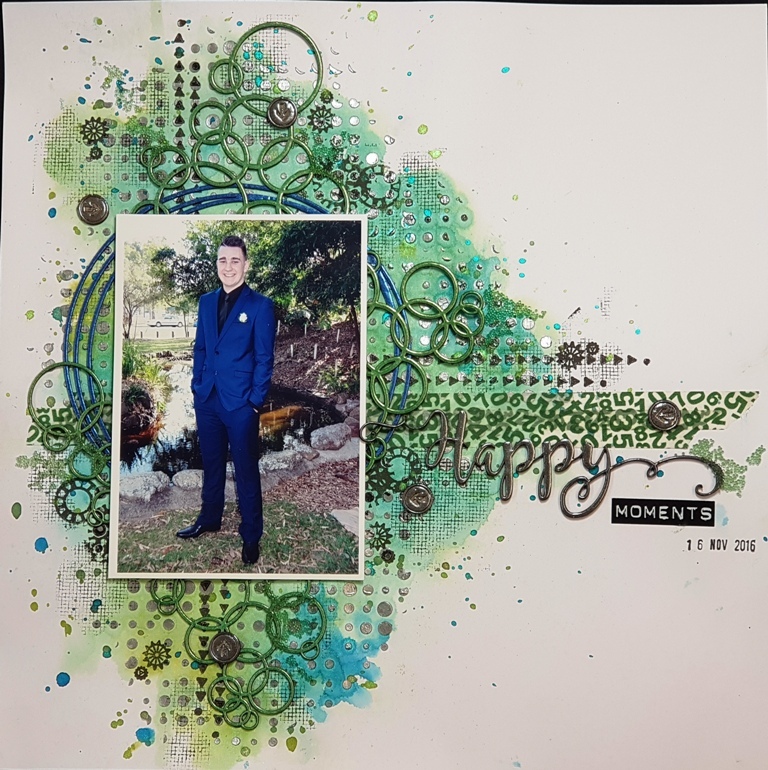 Up next, we have Marie's layout using white cardstock as her base then building up her colour palette using a printed paper and mists combined with a template to create her top layer. 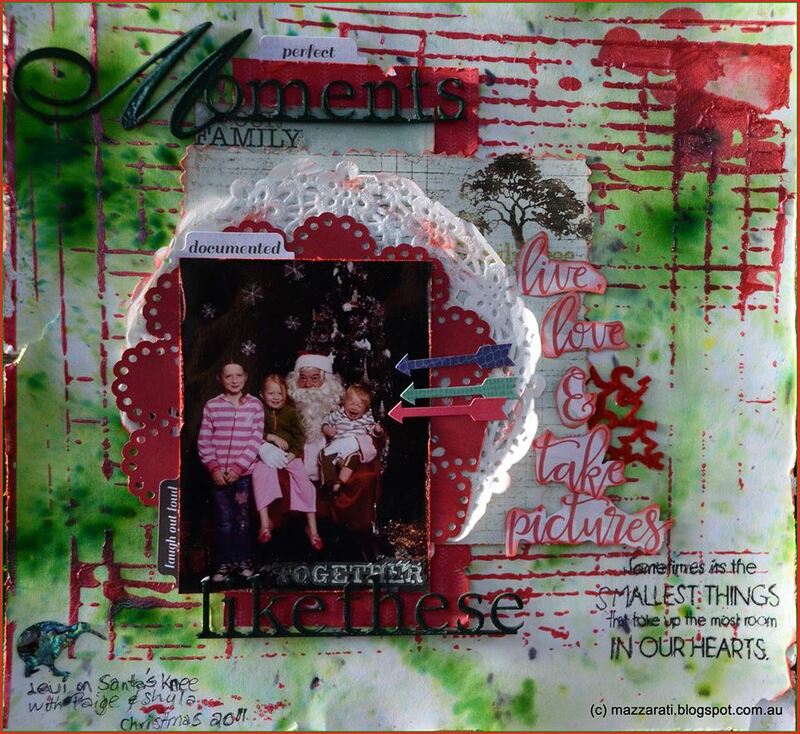 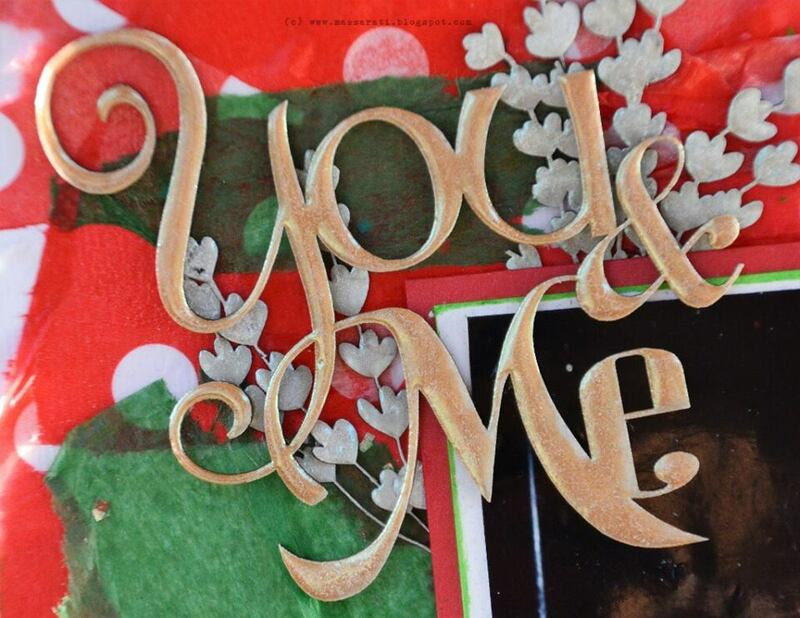 Finally, we have a layout by Rachelle - she has used white cardstock with loads of multi media products. 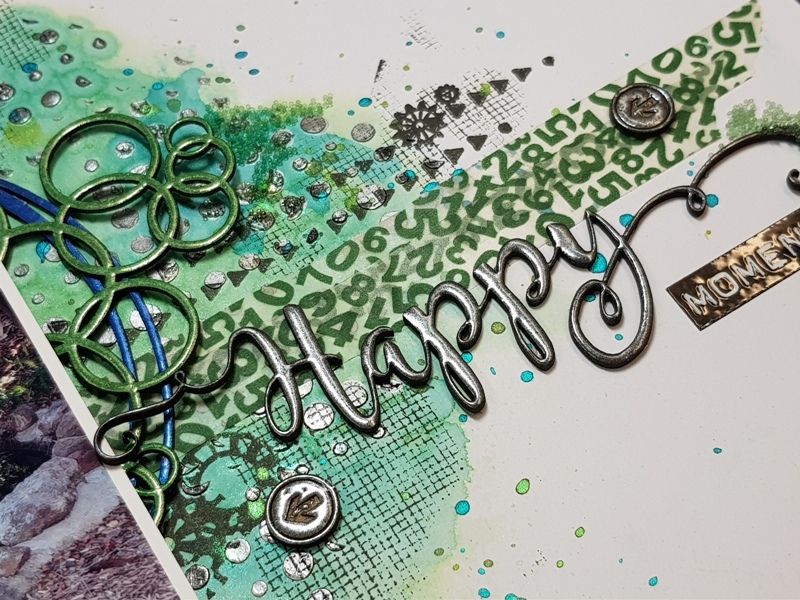 Rachelle has used silver colour blast paste for the dots followed by Lindy's stamp gang mists and stamping to create her background. 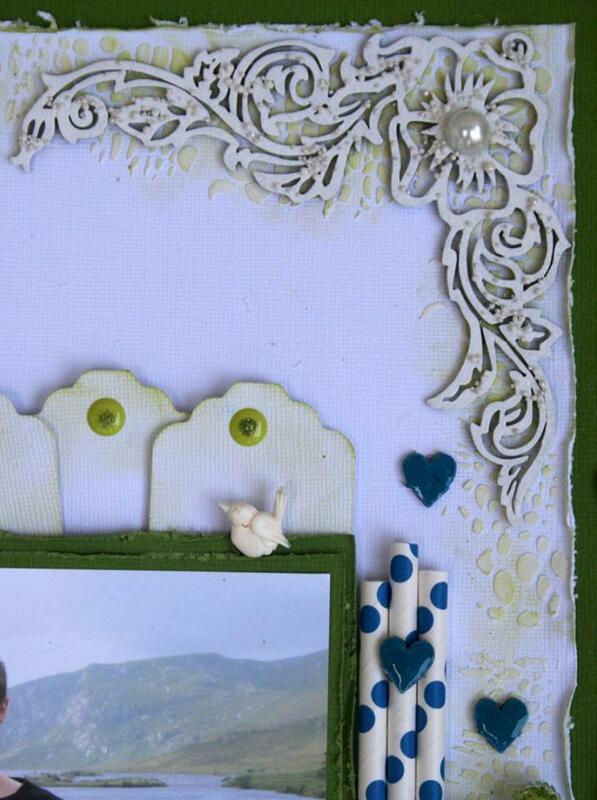 The Chipboard has also been embossed in green and blue to accent this months colours. 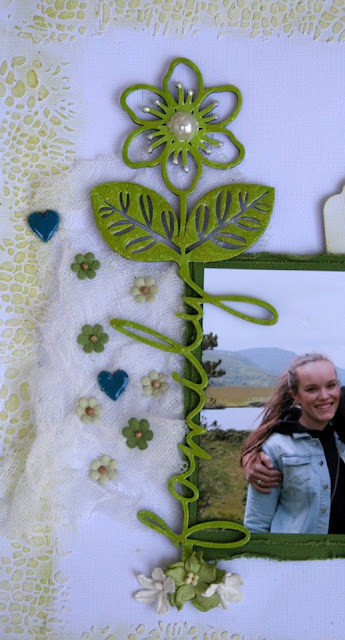 Here are this months Entries.... Our winner is No 1: Judy W - congratulations!! Follow Rachelle's board Scrapping outback on Pinterest.